Exclusive! Slip one of our Double Mirror Compact into your handbag or briefcase or give as a lovely little present or stocking stuffer. 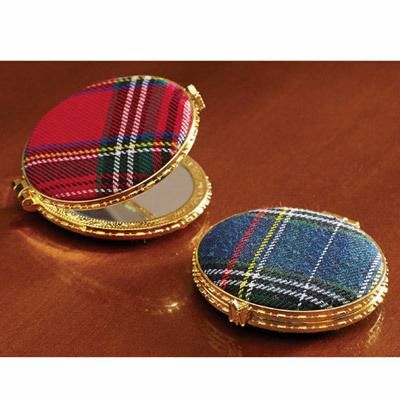 Two mirrors in a compact case with gold-tone plastic frame and tartan plaid fabric front and back. Polyester. Imported. 2¾" dia.